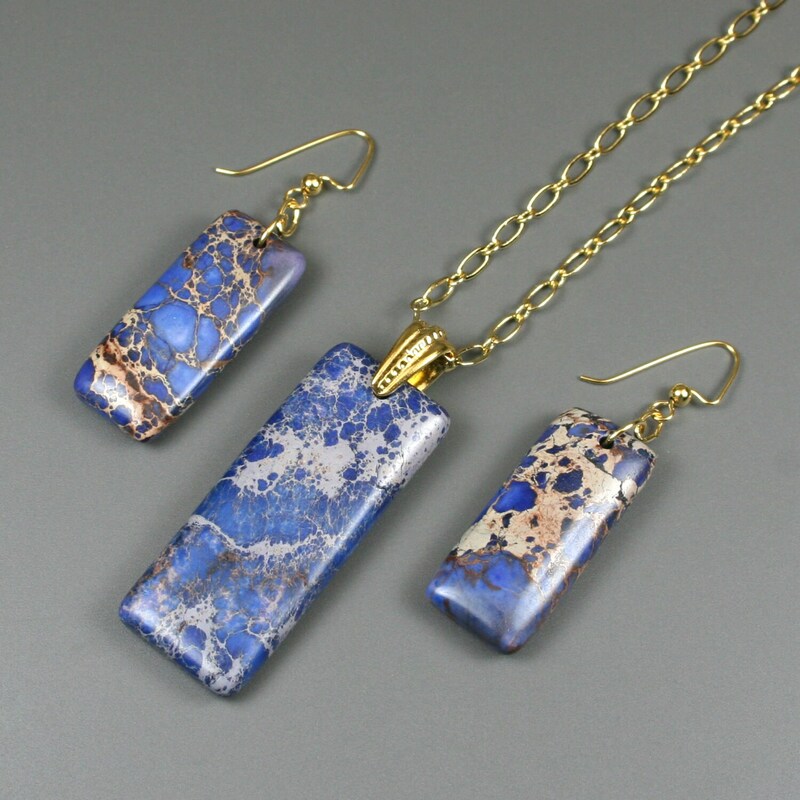 This set is made from matching magnesite stone rectangles dyed lapis blue. 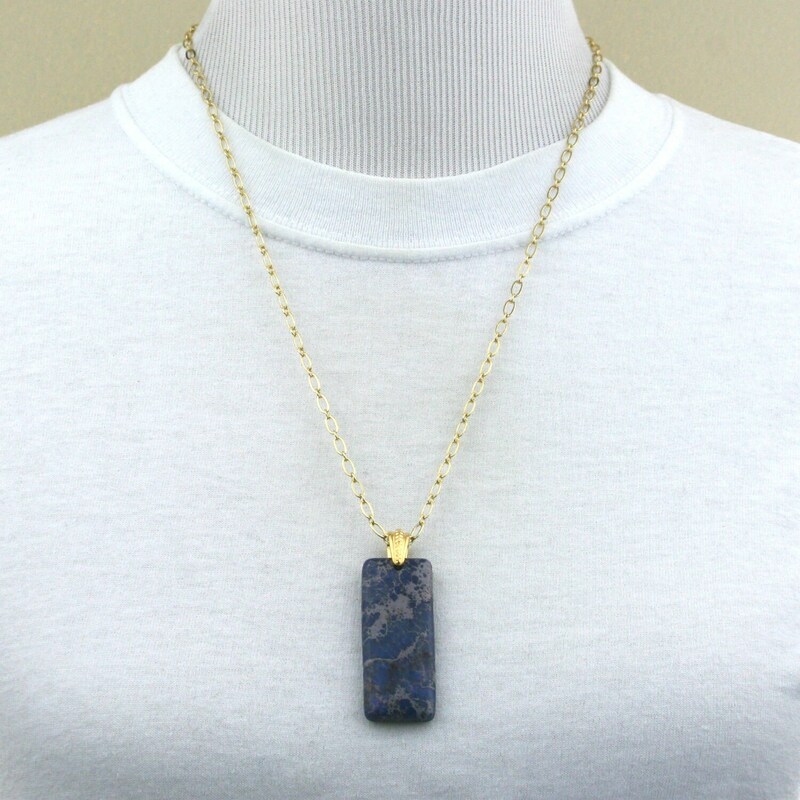 The pendant is 50 mm long and 20 mm wide and is attached to the gold plated chain with a gold plated hammered bail. 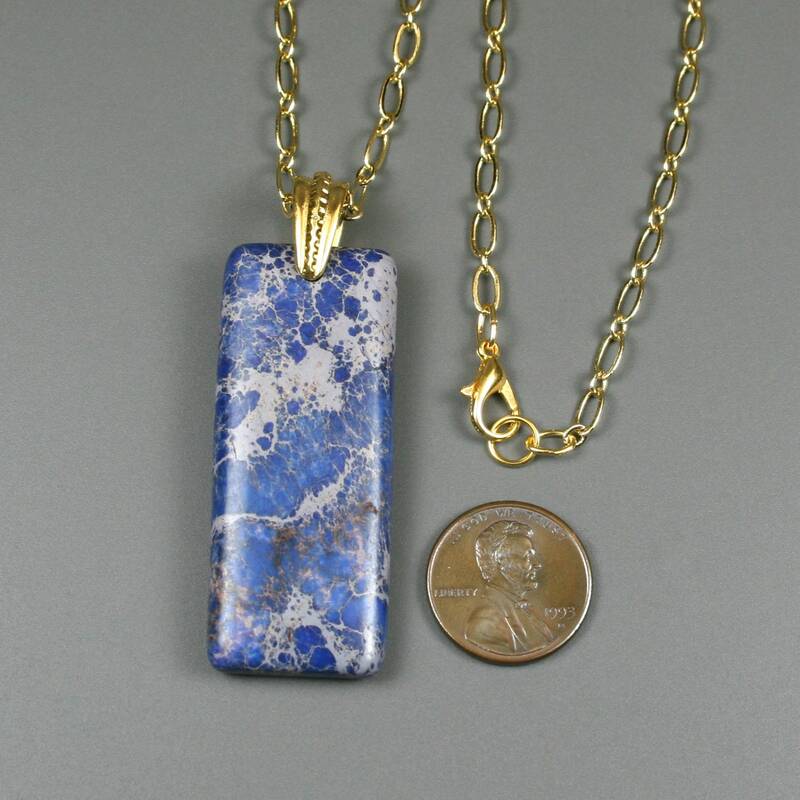 The chain is approximately 24 inches long with a lobster clasp closure. The pendant is equally rounded on both sides to make it completely reversible with either side being show-worthy. 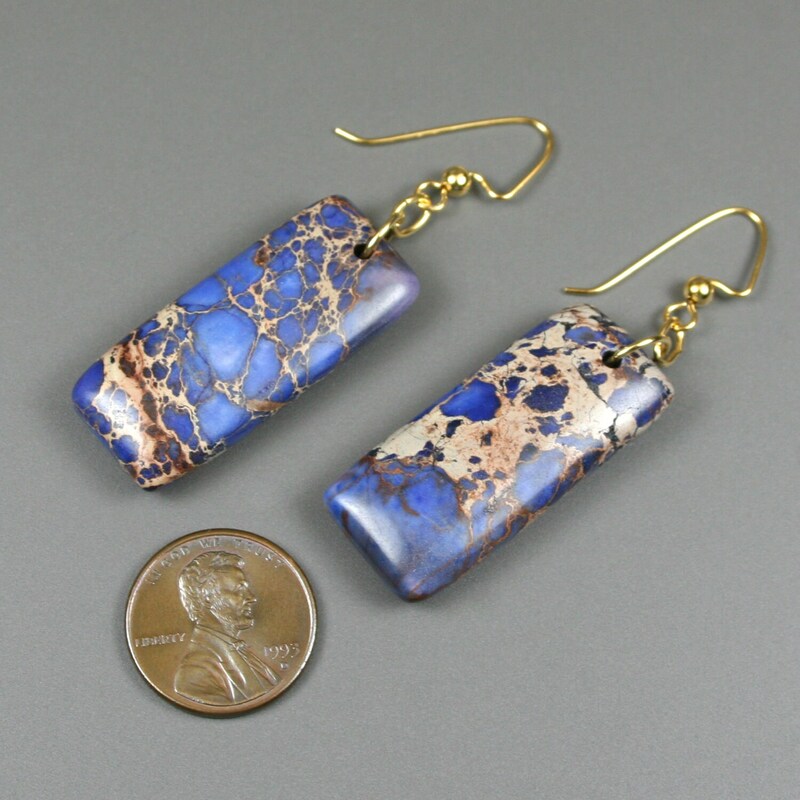 The earring stones are 35 mm long and 16 mm wide and are attached to gold plated ear wires. The bottom of the earrings is approximately 56 mm from the top of the ear wires. 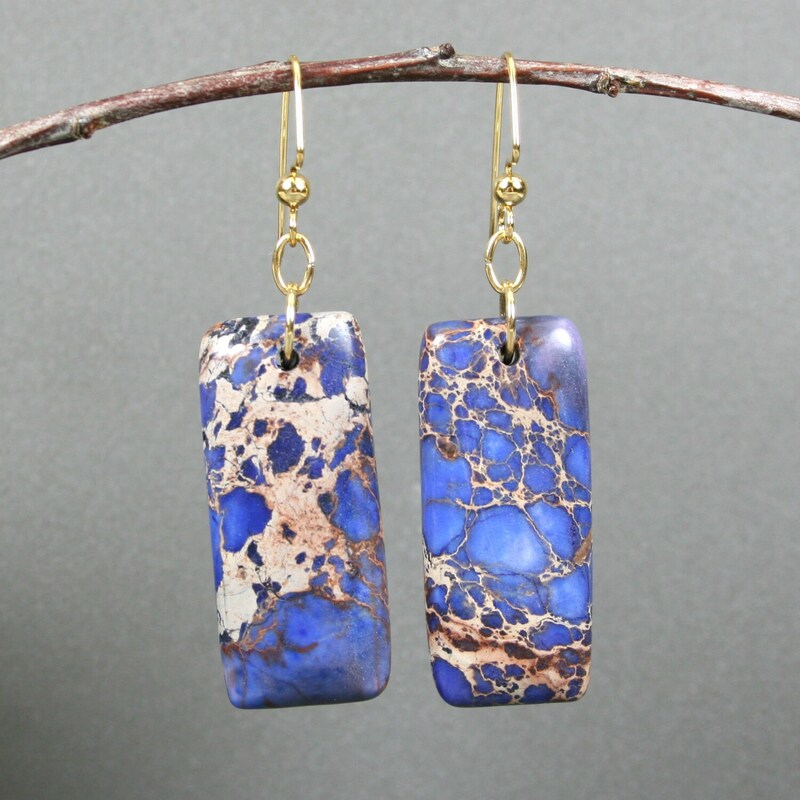 All three stones have some indentations on the surface that are a natural part of the stones.